EHL Ingredients will be exhibiting at The Ingredients Show, the new event dedicated to the thriving food development sector. The food ingredients supplier will be announcing details of a new focus on foodservice and showcasing its new herb and spice blends, as well as vegan, gluten-free and organic ingredients. Taking place for the first time, The Ingredients Show is part of the Food and Drink Expo and EHL is excited to be a part of the inaugural event. Manufacturers are constantly researching and developing new products as consumers look for innovative, tasty, nutritious and healthy foods. Novel ingredients are inspiring new products and EHL is exhibiting its new vegan, gluten-free and organic ingredients and blends from around the world. These foods are set to dominate menus and supermarket shelves in 2018 and beyond as consumers diversify their eating habits to suit modern lifestyles, diets and fitness, and healthy eating trends. 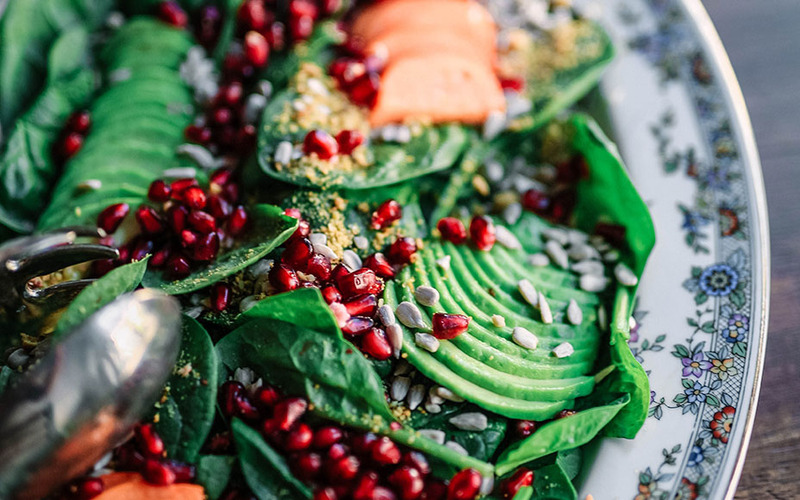 Consumers of all ages are becoming increasingly experimental with their food choices, with a surge in those following a vegan, vegetarian or flexitarian diet. EHL’s vegan ingredient blends are perfect for spicing up plant-based dishes, with Indian, Mexican, Middle Eastern, North African, Creole and Mediterranean cuisines growing in popularity within street food and pop up markets, restaurants and at-home dining. Food manufacturers and processors can add these blends to roasted vegetables, pulse-based dishes, pies and pasta, tacos and wraps, soups and stews to offer tasty and appealing vegan options. There is a rise in food allergy sufferers in the UK and around one percent of Britons suffer from coeliac disease (gluten allergy), with around 12 percent of adults choosing to follow a gluten-free diet. To feed this demand, the food industry is under pressure to bring high quality, differentiated, gluten-free products to market. EHL will be highlighting its 20-strong range of certified gluten-free herbs and spices at the show including dried ground turmeric, cassia, star anise, oregano, ginger, chilli, coriander seed, paprika and nutmeg. Herbs such as dried parsley, sage, basil and pepper are also available – perfect for adding to to formulations and recipes for soups, sauces, marinades and meal kits, and world foods such as curries, tagines and stews. Organic food is showing a clear increase in popularity among consumers, according to the Soil Association, and this is reflected in sales of organic ingredients at EHL. Overall sales of organic food and drink in the UK rose by 7.4 percent in the 52 weeks to 1st July 2017 and reached an all time high of £2 billioni as consumers prioritise purchases of nutritious and easily traceable organic foods. The team will be demonstrating its range of organic dried herbs and spices, spice blends and seasonings for fresh, chilled soups, as well as for steak, burgers and chicken, stir-fries and curries. “Our organic curry powder, garam masala, chinese five spice and mixed herbs are our most popular organic blends, and our stuffing mixes have enhanced our portfolio of organic ingredients and blends. We plan to continue expanding our offering to provide quality ingredients and blends to food manufacturers, as well as to the foodservice sector, to add to innovative new international organic dishes, meals and accompaniments. Tasneem concludes:“The vegan, gluten-free and organic food markets are growing and they really present an opportunity for us, and for the food industry as a whole, so we are working hard to source and develop ingredients to ensure those following these lifestyles don’t have to compromise on flavour. EHL’s products are available in bulk to food manufacturers, foodservice operators, wholesalers and cash and carries, caterers and chefs, co-packers, multiple retailers, health food stores and large co-operatives. EHL stocks around 50 blends and seasonings and over 200 conventional and organic ingredients, including herbs and spices, beans, lentils and peas, herbs, nuts and dried fruits, seeds and flakes, grains and rice, oils, vinegars, salts, sugars and syrups, as well as other ingredients such as flour, honey and fruit concentrates. Contact EHL Ingredients to discuss 2018 food trends and to discuss your requirements. Visit www.ehl-ingredients.co.uk, email info@ehl-ingredients.co.uk or call 0161 480 7902.